"Experience Costa Rica luxury at its best with your free Luxury Guide"
What’s inside the Costa Rica Luxury Guide? Inside the guide, you will find the best of the best for Costa Rica luxury. Guiding you to the most fabulous of hotels and retreats and helping you to choose which on to stay at. 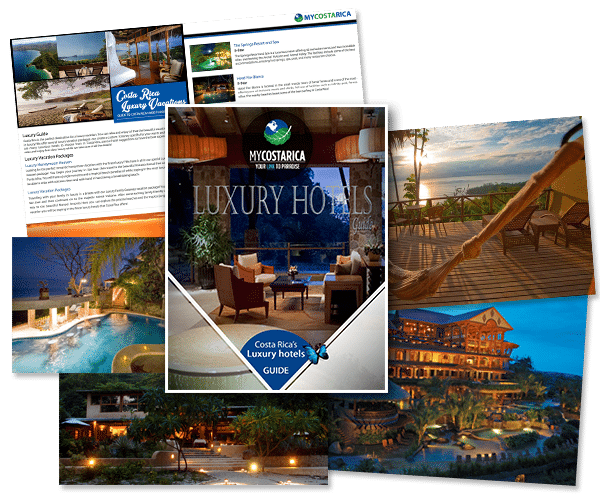 Also, if still undecided we at My Costa Rica can help you to choose the best possible option so your stay here is truly luxurious. Costa Rica is full of luxury and even has different types. Depending on what you like you could be set up in a beach front hotel. Or what about staying beside a steaming volcano. Also, go deep into the jungle and stay at any one of the beautiful rainforest resorts. 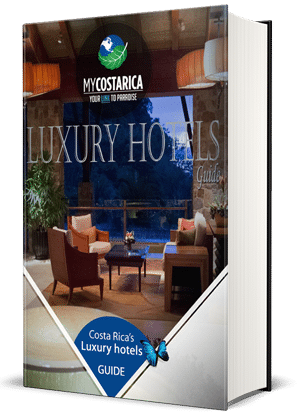 Costa Rica caters to your specific needs, and the hotels give the best possible stay you can have with luxury as the most basic amenity. What to see in Costa Rica? A Costa Rica Luxury vacation isn’t complete without tours. Take a fabulous tour on the Marlin Del Rey Catamaran or try out the El Trapiche coffee tour. Also, if your looking for adventure ask us about any other tour we can provide. Over 10,000 Satisfied Clients Since 2004! We at My Costa Rica are proud of the customer service and personalized attention that we offer our guests. We’re available for our guests 24/7 during their trips should they need us for any reason. Save Time, Money & Have the Best Vacation to Costa Rica with our custom travel packages. But don’t take our word for it – see what our clients have to say!